The answer to all latent print examiners’ biggest obstacle — Minutia Advancement Paste or widely known as the M.A.P. Stick is a proprietary and patent pending solid that is applied to the hand and allows fingerprint live scan systems to capture the best possible image on the first attempt. AWS is using bigDAWGS’ Video Greeting Cards to introduce their premier product, M.A.P. 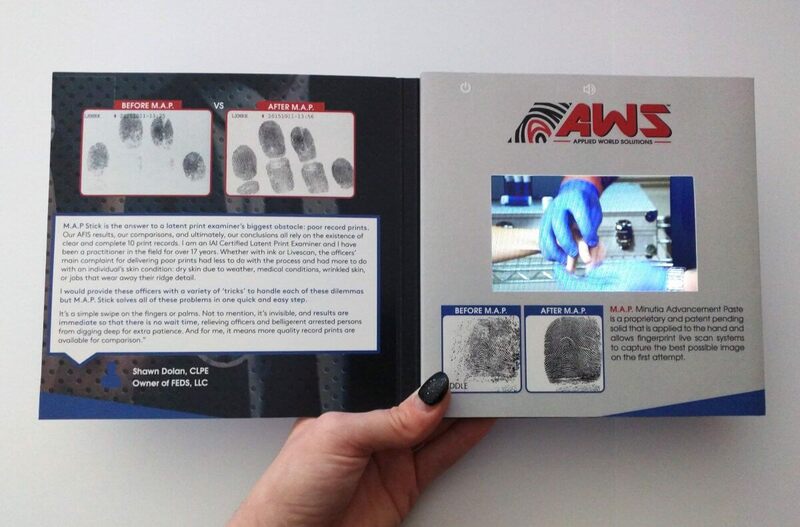 fingerprint enhancer – quick, clean, non-toxic, anti-microbic and alcohol free.